Winters finally upon us and most of us are unpacking our sweaters and trench coats, kissing our flowery sun dresses goodbye and making trips to the mall to see whats ruling the fashion world this winter. With all the fashion shopping, lets not forget that fashion-wise, our eyes need some attention too, they are after all the windows to our souls, so why not fashionise what you wear on them? If you are one of those who like glasses, then you will love Warby Parkers winter 2013 collection. They are trendy yet sophisticated. Our new Winter Collection is rustic meets modern: six new shapes in five new colors, including two custom two-toned acetates, in addition to some of our most dependably stylish frames in cold-weather hues. All frames are $95, including prescription lenses. Welty’s keyhole bridge, curved browline, and slim acetate construction are a first-class combination. Edgeworth’s keyhole bridge, 1940s-inspired eyeframe and signature plaques make it a heartbreaker. The slender temple arms are crafted from Japanese titanium. Whatever the scenario, Nash’s vintage shape—generous, square frames—will make you sit up straighter. A slight contemporary twist to what could be traditional old-school frames, Webb’s smooth, rounded eye wire give it a dapper look. Durand’s round lenses and roomy width make a sharp first impression. 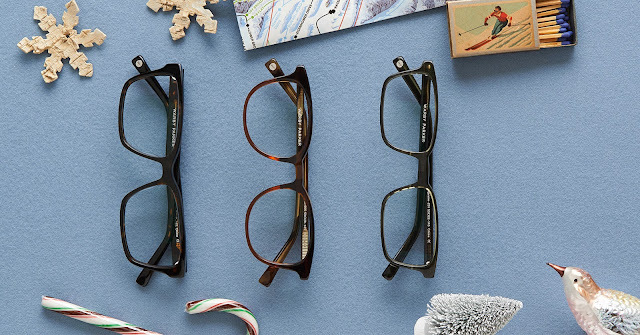 This no-fail combination—rectangular frames plus a slightly rounded bridge—is designed to earn high marks. Personally, I am tempted to buy Newsprint Grey, its just so chic and nerdy! Love it.